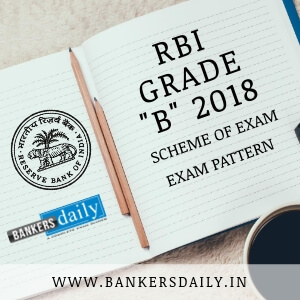 IBPS (Institute Banking of Personnel Selection) has released the notification for the post of IBPS PO Exam 2018 which is one of the most important exam in the banking arena. Many aspirants will be eagerly waiting for the IBPS PO Prelims exam as the exams which happened recently had puzzled the aspirants. Many aspirants will be searching for the mock test series to enhance their preparations and also to improvise their attending strategy. Most aspirants will decide their strategies to attempt the questions in a certain order by writing more number of full length mock test series which will give them an upper hand in the actual exams. This is the first time in the history of IBPS, the sectional timing has been introduced in the preliminary examination of the IBPS PO 2018. Also the Mains examination have the descriptive writing part. This is to limit the number of aspirants in the initial stage of the examination and also keeping in mind the enormous amount of aspirants who are appearing for the IBPS PO Exam 2018. With the sharp increase in the number of aspirants appearing for the banking exams , the exams are getting difficult day by day. 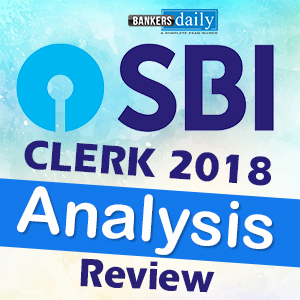 When compared to the recent exams which had questions ranging from moderate to difficult level, the forthcoming exams too will be on par with the previous exams as the SBI Exams will set the benchmarks for the other exams in the banking sector. All the exams in the banking sector follows the SBI strategy in the exams. Team bankersdaily will be providing Full Length Mock Test Series before every exam. Now we have provided the aspirants with 25 set Full Length Online Mock Test Series and 10 Full Length Mock Test Series in our Bankersdaily Tests. Please note that the 10 Full Length Mock Test Series are a part of the 25 set Full Length series and varies only in Cost. What Are The Specialty Of The IBPS PO PRELIMS 2018 MOCK TEST SERIES? Totally 25& 10 Full-Length Mock Test Series of IBPS PO Prelims Exam 2018. In the end, aspirants would have solved almost 2500 + Questions. The difficulty level of the Question: Based on the Difficulty Level of the Previous Exams in recent times. On par with the IBPS PO Prelims Exam and the questions are taken by our in-house R&D Team. The Mock Tests are based on the latest Exam Pattern. Individual performance Analysis report for each Exam. Detailed Solutions for all the Sections. Aspirants can check the Geek Test – which will be useful for the preparation and these Questions will be in the range from Easy – Moderate – Difficult. Please check the links for the Exam from the links below. Please note that, only the user who has bought the tests can write the tests. You cannot write the tests until you buy the tests. We have many tests in Bankersdaily, write those tests in BD. These tests will be available till the prelims exam of IBPS PO 2018.